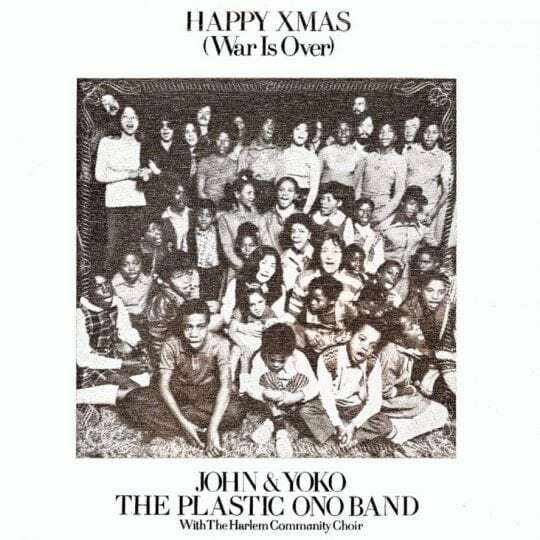 For as long as I can remember, the song “Happy Xmas (War is Over)” by the Plastic Ono Band and the Harlem Community Choir always got me into the Christmas spirit. The combination of John Lennon’s voice with a children’s choir always left me with a warm heart. With lyrics like, “So this is Christmas/And what have you done?” has you giddy for Christmas but also ponders reflection over successes, failures, milestones and events that came with this year. This song was released in 1971 (in the United States). This was part of Lennon and Yoko Ono’s bed-in protests and peaceful activism. This song was trying to captivate optimism during the events of the Vietnam War. As it played in the car the other night while leaving a holiday party, I felt different. In fact, I started to cry. The mix of Lennon’s voice and the children’s choir was the sound of optimism. The repetition of the war being over and the children cheering at the end of the song seemed to overwhelm me. At first I didn’t know why I was reacting like this. Then I broke the song down by parts. I wanted to understand why I had such reaction to this. The opening line: “So this is Christmas/And what have you done?” had me thinking, “What have I done this year?” Well, I started to say yes to more things. Not many, but some. I said yes to joining a choir after I haven’t sung in four years. I said yes to being on an executive board for a club that I am a part of. I said yes to going on said trip with the choir I’ve only known for four months. Because of me saying “yes,” I have met more friends and done more things than I would’ve had I said “no.” However, I am not where I want to be yet. There is so much more I want to get done before my college career ends in May 2017. Pictured here are Ono, Lennon, and the Harlem Community Choir. Which brings me to another lyric, “Another year over/And a new one just begun.” Another year has come and gone. A new one will be coming soon. Life goes by so fast. I feel as though childhood was only two weeks ago. The biggest fear I had was Lima beans and the Easter Bunny at my local mall. Now, I am 21-years-old, still afraid of Lima beans and I am afraid about my future. Will I accomplish my dreams? Or will I abandon them just for the sake of “growing up?” Will I accomplish more in the new year as I had planned? “Let’s hope it’s a good one/Without any fear.” This lyric is in regards to the upcoming year. When this song was released, the Vietnam War was seeing its end and the people were thinking life could improve after a very sad and unpopular war. This time, hearing it in 2016, is different. The most toxic election in recent memory, the tragedies in Aleppo, clean drinking water being jeopardized at Standing Rock in North and South Dakota, and Flint, Mich., attacks from ISIS. These are just a few things that bring fear to the normal American citizen. We do not know what this year will bring. Fear is almost certain at this point. People are starting to lose optimism and hope for the days ahead. The world is going to change in ways that we may not be prepared for. 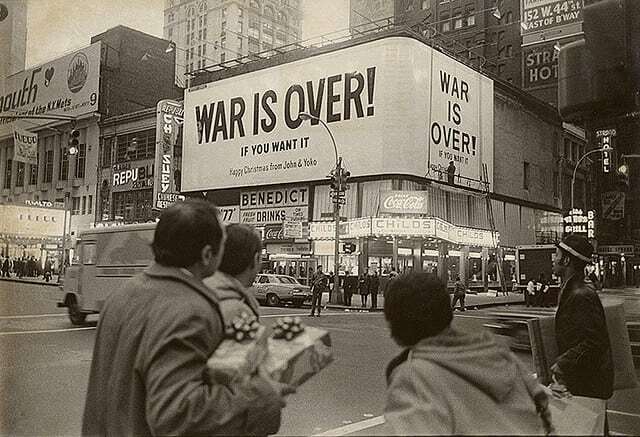 The repeated phrases “war is over” is followed by short phrase: “if you want it.” Meaning, war, or whatever tragedy at the time is over if we want it to be. The optimism can be driven from the idea that it is in our control. This year can be scary, bland and awful if we want it to be. We can ponder and let the darkness from 2016 weigh us down into the new year or we can learn from it. Turn those feelings around to make an impact on our world in the new year. Not all hope is lost. We cannot give up so soon. This song reminded me that I am still afraid of the future, the uncertainty, the unknown. That I am still nostalgic for childhood and everything makes me cry at this point in my life. As we go deeper into Christmas, and towards a new year, let us not be defeated so soon. Make new goals. Do things that you wouldn’t do in previous years. Ponder and reflect when it is needed. Make mistakes. Learn from them. Hopefully, this time next year, you’ll have more to say when Lennon asks, “What have you done?” Maybe you won’t be so intimidated when he sings, “Another year older”, and above all, look forward to a future without fear if at all possible. I wish you all a Merry Christmas, Happy Holidays, and a better New Year. We all need it.